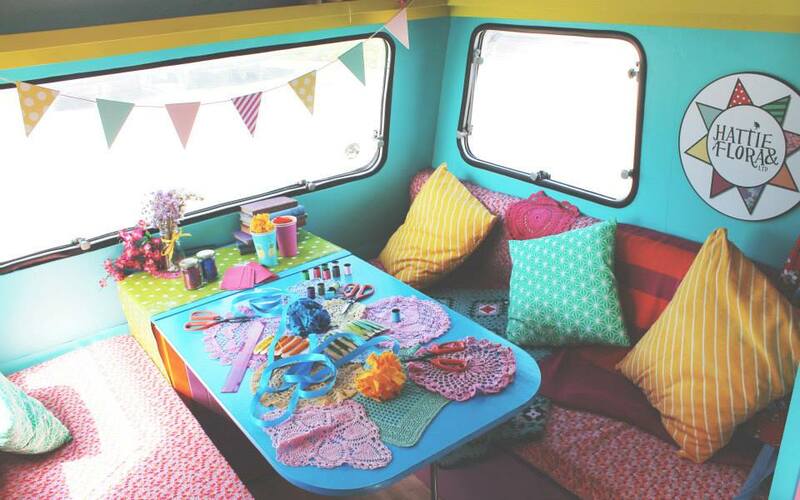 The Creative Caravan Workshops are run by a colorful duo combining skills in craft, arts and decoration. From a background in set design, floristry and events design they bring workshops to team building events, exhibitions and parties across the country! Ideal for team building, Christmas parties, outdoor summer events, children’s parties and festivals. 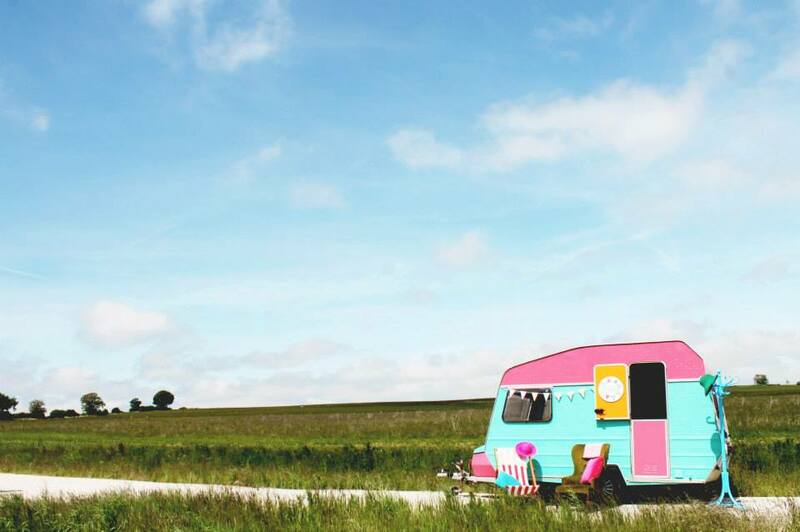 The caravan and workshops can be located outside or inside. 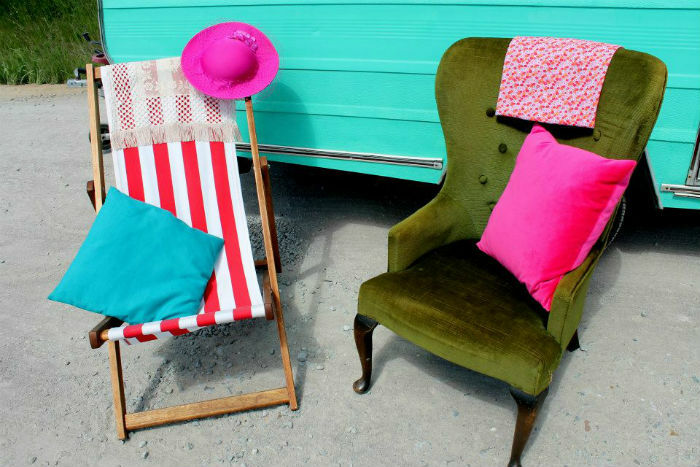 For every location the caravan will be decorated to theme the event – from deckchairs, pallet tables, rugs, hanging decoration, hand painted signage and bunting, the caravan will create a beautiful feature space for any event. Access for a 2 berth caravan needed. 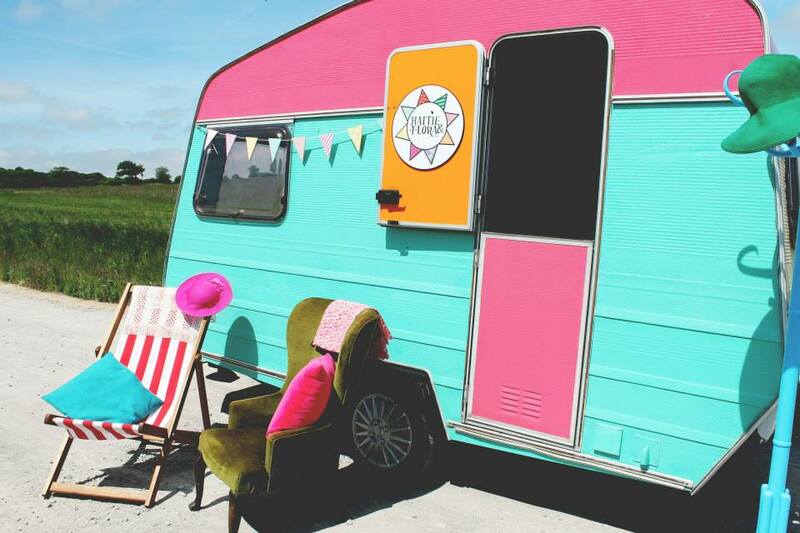 The caravan can be themed and branded especially for your event. The workshops and activities will also be bespoke to each event the details of which can be confirmed on booking. Team Building: Half day workshops or full day workshops can be designed bespoke to each event. Evening events: 2 hour workshops, all the way through to 6 hour workshops. Weekend events: Full weekend hire available. 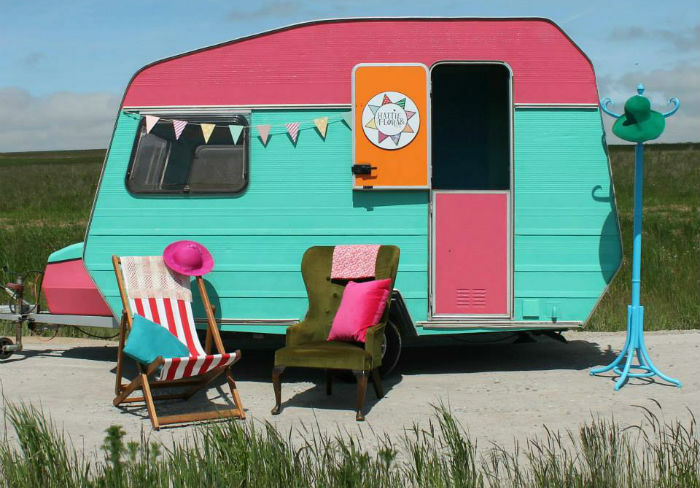 The caravan workshops can work with your theme to create bespoke workshops, for small to large groups, from 2 hours to week long events, anything is possible! All workshops will require a minimum of 2 workshop specialists. Depending on the size of the event and number of people participating, this will increase. An approx. space of 5m x 5m is ideal. Ideal locations are fields, exhibition centres, gardens and halls.